Jeremy Corbyn has said that trans rights must improve in the UK, and he will support the Conservative Party in Parliament to make it happen. 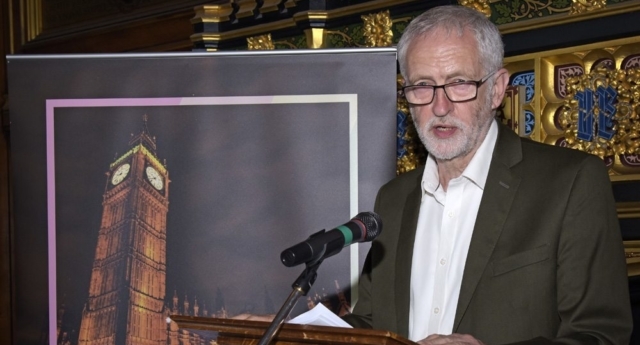 Speaking last night at the PinkNews Summer Parliamentary reception, the Labour Party leader called for an overhaul of the Gender Recognition Act to allow trans people to self-identify their gender. “The struggle for real trans equality is still alive and well,” Corbyn said. He continued: “The Gender Recognition Act does not allow trans people to self-identify their gender and forces them to undergo invasive medical tests. After the event, Labour added: “Theresa May told PinkNews that ‘changes need to be made’ but failed to include anything on this in the Conservative Manifesto. “So, we say to her today, Labour will help you keep your promise. Prior to the snap 2017 General Election in a series of readers’ Q&As with PinkNews, the three major party leaders pledged to overhaul the Gender Recognition Act to better allow trans people to self-identify their gender. “I know that for some trans people, the legal process to change their gender can be distressing, so changes do need to be made,” said Mrs May at the time. Mr Corbyn said: “People’s own self-identification must be respected by others. During his speech last night, Mr Corbyn also said that those prosecuted for being gay should not just be pardoned, but receive an apology from the government. He also highlighted the persecution of gay men in Chechnya, and warned against the regression of LGBT rights in the US under the Donald Trump administration. The PinkNews Parliamentary Reception was generously supported by Lloyds Banking Group.